I finally decided to wear Sinful Colors Zeus. This color comes from the ‘Cast Away’ collection, which contained 8 new colors. If you’re a Sinful Colors fan, you know they often slip core colors into their displays along with the new colors. I loved this collection, even though some of the colors are nearly identical in shade. I think I was drawn to it because the colors are what I would normally go for. I went after this collection when Walgreens was having a Sinful Color $.99 sale. I was able to pick up the entire collection, but it took work and going to a number of Walgreens. I knew Zeus was a popular shade and my chances of finding it where slim. Twelve Walgreens later (yes, twelve! ), and I came across a lone bottle, sitting in the bottom of an almost empty bin. I was so close to giving up and seriously wondered if this color even existed. It was the one color that I wanted more than any of the others. I found it though, and after applying it, I’m so happy with it. Two coats are all that you need with this polish. 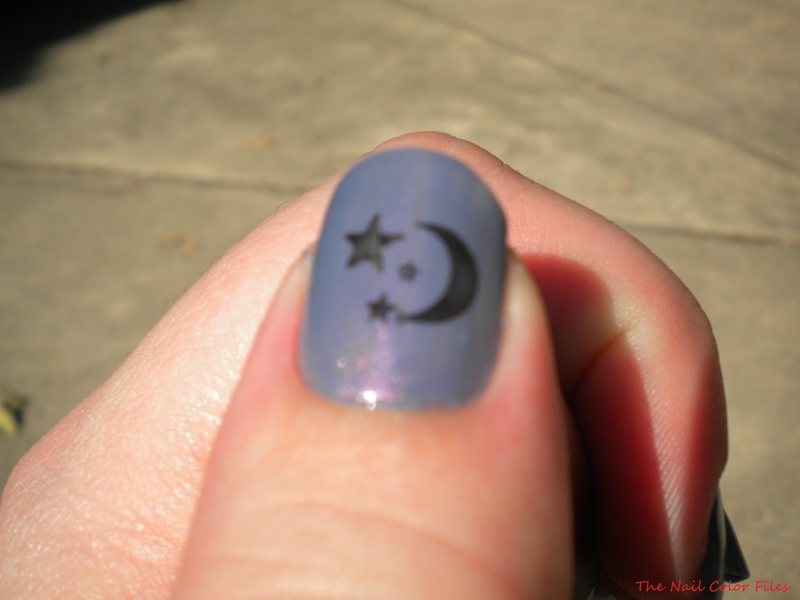 I used the Sinful Colors top coat as well, and did some stamping on my thumbnail from the Salon Express kit. Stamped with Sinful Colors Black on Black. Stamp is from the Salon Express kit. This color has to be in my top ten favorites. If I were ever to come across another bottle of this, I’d snap it up in a heartbeat! Thanks for reading. Hopefully I’ll be able to work on my “What I Own” list over the next few days. If I put anything there you want to see swatched, please let me know.